STERLING Silver: All bracelets are also available by custom order in Sterling Silver. 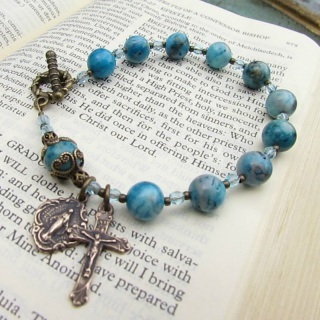 Contact me for cost as Silver prices can fluctuate. Contact me with your choice of stone and bracelet length (measure your wrist and add 1 inch). 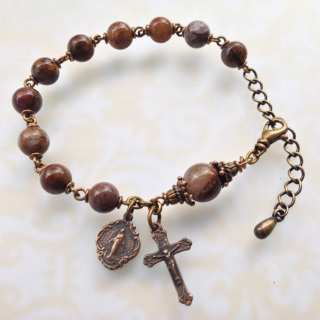 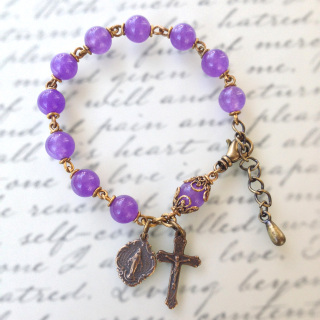 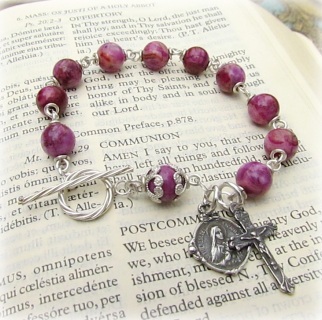 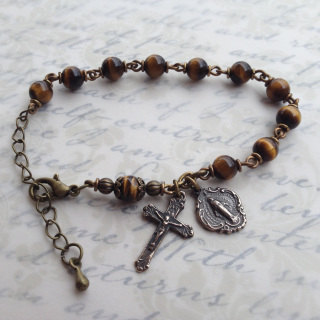 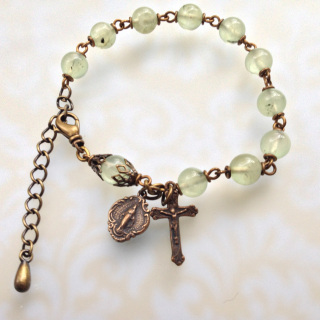 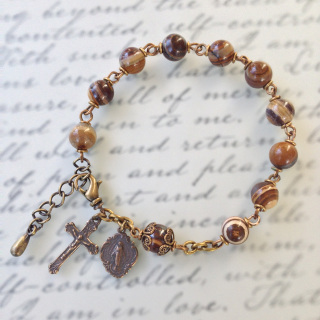 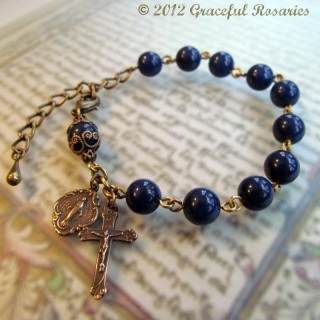 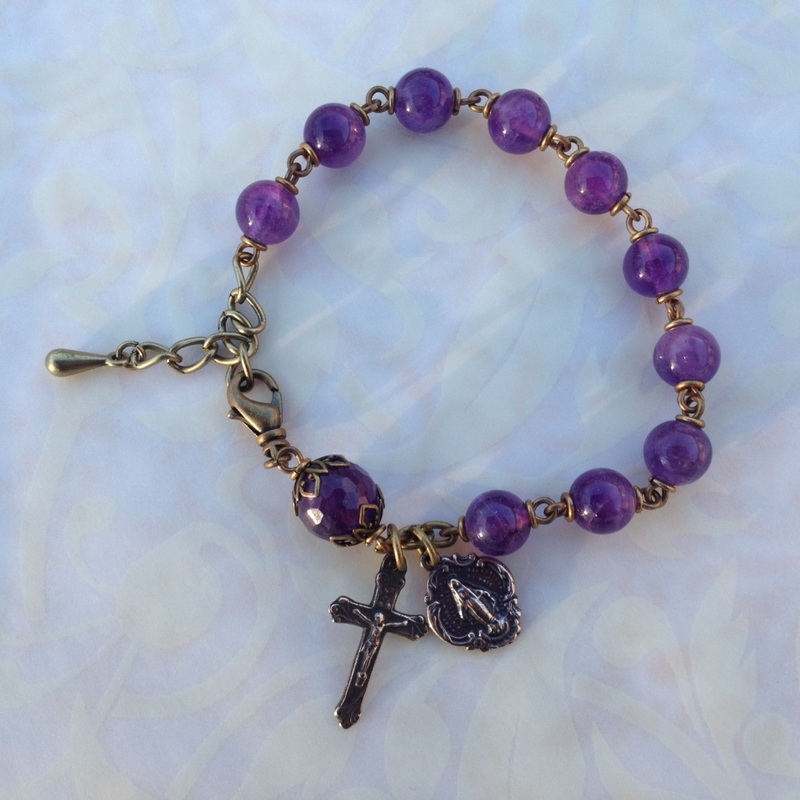 This rosary bracelet uses the same beads as my 8mm Amethyst Heirloom Rosary for its decade of Ave beads and its Pater bead. 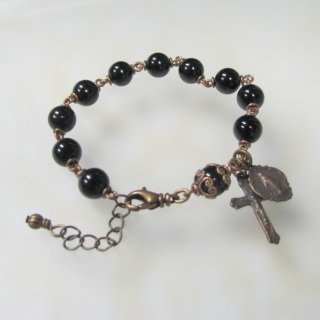 Closed with a lobster claw clasp. 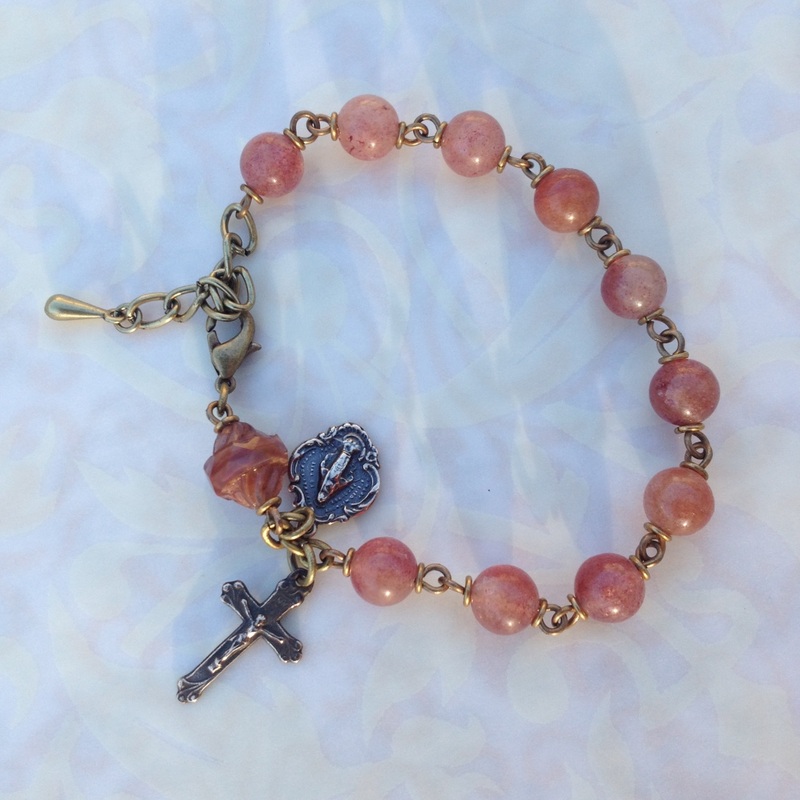 Click here to see more beaded bracelet designs.